This is a residential loss that focuses on the repair phase with an eye towards tile installation. 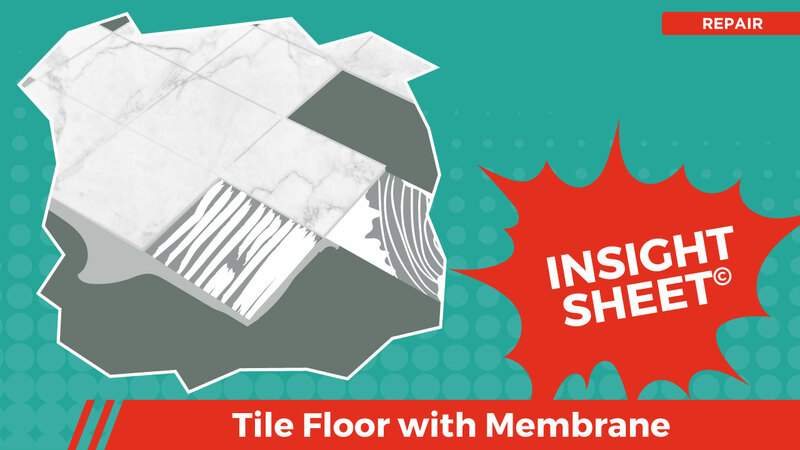 This is a complex sheet, NOT a traditional tile flooring installation. One aspect that we were keen to highlight is how one might write up a sheet when the mitigation crew only partially demos the flooring (this is surprisingly common). Depending on the situation, it may be more practical to satisfy the labor cost associated with the demolition by simply adding labor hours. That said, the AI Board remains keen to find ways to work within the confines of the existing price list (to the extent possible). This Insight Sheet© is a full expression of the Board’s bias in this regard. 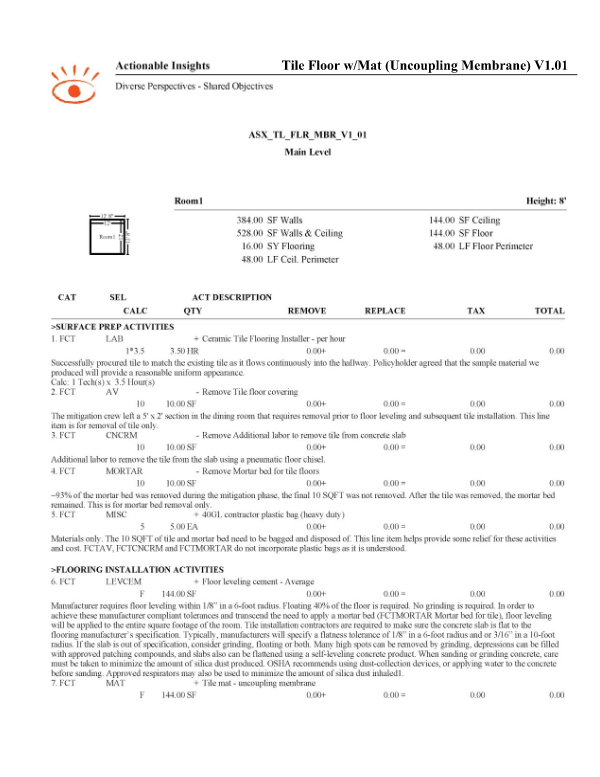 This Insight Sheet© exists to clarify how one might invoice for tile flooring. This does not seek to include or make concessions for all equipment and/or activities as it relates to a loss of this nature. This Insight Sheet is one of my favorites. Yesterday Sean Scott collaborated against it, and made some material improvements. With or without a membrane, this Insight Sheet can provide value. Is the mastic included in the primary tile line item? Should we always incorporate FCTCNCRM when the tile is being removed from a slab? What do you guys think about flanking FCT MORTAR with FCT CNCRM? Is 3 hours enough to source matching tile in your experience?